I'm currently trying to decide which video card to buy for my $1000ish gaming PC build. I'm going to be running an intel i5-750, 4gb corsair RAM, 750 watt PSU, and I'll be playing games at 1920x1080. Which card do you guys think would be the best bang for the buck and most appropriate for my system? I've never OC'd before and would rather have a reliably cool running card. I know everyone is going to say "If you have the money, go for the better card", but what I would like to know is given the limitations of my system, is the extra $100 for the 5850 going to go a long way? What about the extra $40 for the toxic 5850? First off, I'd go with an AMD build. It's cheaper, and for games, will often perform better. A Phenom II 955 OC'd to 3.6ghz (easy as sliding a bar), a 785G mobo, and an HD5850 will run you about $550, depending on the card. As for which 5850, if you do not plan on OC'ing heavily, the HD5850 VAPOR-X would probably have better cooling, while the TOXIC comes slightly overclocked. If I were considering dropping $350 for an OC'ed HD 5850, then I would simply go the extra mile and drop $390 for the HD 5870. @Shadow187, the TOXIC uses vapor-x, according to the review on hardwarecanucks and the user reviews on newegg. @jaguarskx, the factory OC'ed toxic sapphire 5850 w/ vapor-x cooling is $340 shipped on amazon. My question here is whether that $40 extra is worth it, or if the $100 extra between the sapphire 5830 and the normal sapphire 5850 is even worth it. If it were me, i wouldn't pay for the Toxic Edition. Since your budget is "limited" (Compared to like 600$, 1,000 isn't limited, but you get my point) Maybe spend that money on a better AMD processor, or something else you might like to have in your PC. Get the regular HD 5850 an OC it if you want. The HD 5830 is not really worth the price you pay unless you want something better than the HD 5830, but cannot afford the HD 5850. Regular 5850 gives you quite a bit more performance over a 5830. It's one of the best bang-for-your-buck cards you can get right now. IMO the Vapor-X card is not worthwhile at all, because you can easily overclock your stock card all by yourself. If overclocking isn't something you want to do, then you might as well spend the extra dough on the slightly faster card. 1. How does the sapphire 5850 compare to other 5850s? 2. Is this card on amazon exactly the same as the card on newegg? The title description on newegg mentions "cypress pro", and I'm not sure if there is a version of the card that uses a standard 5850 GPU rather than a cypress pro. Those 2 are the same. Manufacturer doesn't matter too much. Basically you have either reference or non reference versions. Reference versions have the stock cooler - the fully enclosed ones that blow the air out the back. Non reference ones usually have upgraded coolers like the ones you're looking at. Aside from that, some non reference also have their voltage control locked although I've heard simply flashing the BIOS can fix it, but I don't know for certain. There's also some pre-OCed versions like Sapphire Toxic or Vapor-X and they also usually feature good coolers, but IMO it's not worth the extra cash as you can OC them yourself easily. If you get a non reference one like the ones you linked, you'll need at least a couple case fans to get rid of all the heat they blow into it. 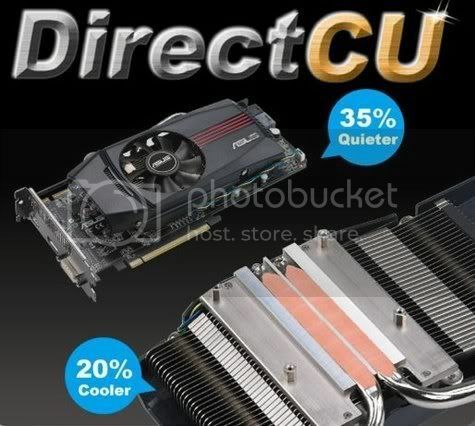 Get an Asus DirectCU, you get a 3 year warranty, voltage is unlocked, runs 20% cooler than reference version and you can surpass 5870 speeds quite easily if needed. This GPU is so popular because its the best bang for buck GPU you can get, most sites have the DirectCU on backorder. Last week zipzoomfly had the DirectCU @ 320.00$ free shipping and all 19 units were sold in less than 48 hours. 299.99$ Bing Cash Back+shipping or 355.00$ shipped. I want to know what my gpu fan type is. Sapphire R9 280x TOXIC. Pictures provided.